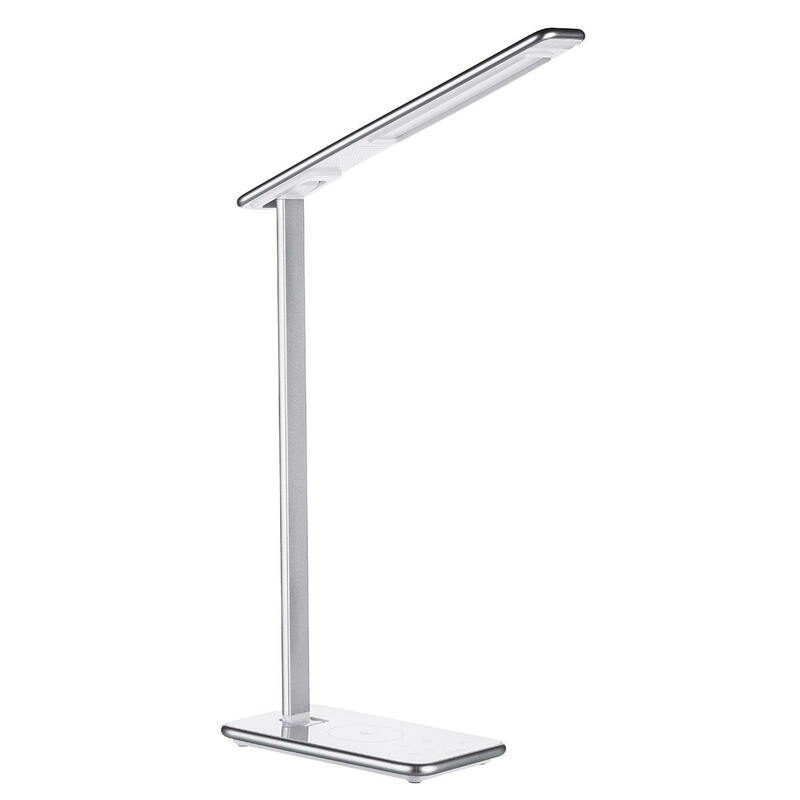 ● Distinctive Design : Firm lamp bracket, Compact lamp holder, easy to fold. ● High-quality LED Surface Light Source : Produces soft, symmetrical and homogeneous light. ● Qi Wireless Charger : Supports iPhone X, 8 & 8 Plus, Samsung Galaxy S9, S9+, S8, S7 and other Qi-Enabled devices.